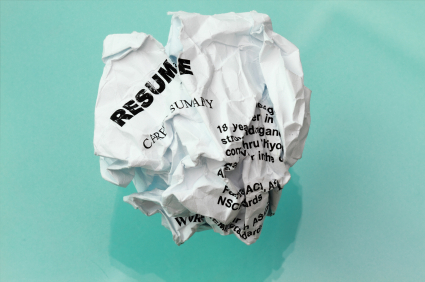 Resume writing, and generally how to get it right or wrong, is such a hot topic these days. As it is, I feel that I could write countless blog posts on the subject. However, as I am getting ready to do a webinar on this topic today, I am going to address four resume writing mistakes that every job seeker out there should avoid as they create the document that is the ultimate first impression to a potential employer. Be way too personal. Yes, it’s true that your resume should offer information to a recruiter or hiring manager about who you are, your skill set, your past experience and what you could possibly bring to a company. However, when it comes to overly personal data, such as the number of kids you have, where you went on vacation last year, your marital status, nationality and weight, you need to leave it off. Not only is it really inappropriate and unnecessary, but if you start providing demographic data related to your race, religion or ethnicity, or sensitive information such as your social security number, the potential employer might have to scrap it to comply with Department of Labor regulations, which means your information will not be kept on file and you won’t be considered for future employment opportunities. Overlook typos, grammatical mistakes and other gaffes. So, coming from the point of a grammarian and a resume writer, I have been told by recruiters and hiring managers alike that their number one pet peeve is spelling mistakes, typos and other errors that you should catch if you are proofreading your resume before you send it. Your resume needs to be polished; if it’s not, there is a good chance that a recruiter stops reading at the first misused instance of its or it’s. If you are not confident in your proofreading or editing skills, you need to enlist the help of someone who is. Use over-the-top formatting and unattractive fonts. Look, the way the document is presented counts as much as the information it contains. If your format is unattractive to the eye, if it has numerous inconsistencies or uses awkward fonts, it could be game over. Your resume has to be attractive and this comes down to the type of format you decide to implement. Secondly, keep the font standard and know that Comic Sans and Brush Script are big no-nos. Include out of date information. If you are about to embark on a new job search, take the time to update your resume. Make sure your contact information is up-to-date and that your past experience doesn’t suddenly drop off or end in 2005. Check and double check all of your details and make sure your resume is relevant prior to hitting send. Consider your resume a living document, one that should be updated with every promotion, every new responsibility or each time you physically move to a new address. It all counts! It’s true that resume writing can be a confusing endeavor, especially when you are not sure what the latest trends or expectations are or feel less than confident in how to appeal to a hiring manager. For assistance with your resume turn to the resume writing pros at Grammar Chic. We can help craft and customize a document that gets results, no matter if you are engaging in a general job search, are trying to figure out how to incorporate past military experience or are going after one particular position and want a resume to fit the job description. Call 803-831-7444 or email info@grammarchic.net right now for more details.